The software is tested for readiness before the detailed testing by QA team. It is called as initial level testing or build acceptance testing. A build is a complied code packaged in a single file called as .exe file which can be used for installation of software. It is a superficial testing to check if the pages, links, buttons etc are working. Sometimes, both the terms can be used in different scenarios though there is practically not much difference involved. This type of testing is done in the initial stage of application development a set of all tests or procedures based on technical description of the software. Firstly a small piece of code is tested, then fed to the memory. All structural design and code standards are properly determined and calculations for those codes are done and tested with various customers. For example, sometimes the manufacturer is responsible for the design and manufacture of the product. Without his assurance after testing the product is not moved to the next level. So he is the one who tests with the basic level or the manufacturing aspects of the product. Some times this product takes time for giving results. This type of testing is done to test the integrity of all modules of a software. Integration testing is necessary when many team in a developer team build the modules foe single project. After the project is completed build verification testing is done on every build of a software to check the quality of the product. These tests are done on how to configure and run the software effectively. It is used to check whether all the functionalities are working like it supports for different versions and languages and all menus are integrated properly flags are connected with each file etc. 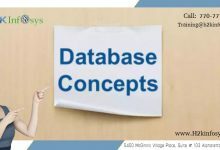 For Example creation of VM’s and server installation setups, database installation setups, test cases are built for creating text editor, writing something on text editor, cut copy functions etc. 1. Try to identify the differences and similarities between initial level testing & build acceptance testing. The software is tested for readiness before the detailed testing by QA team. It is called “Initial level Testing or Build Acceptance Testing”. A build is a compiled code packaged in a single file called as .exe file which can be used for installation of software. Initial Level Testing is done in the initial stage of application development a set of all tests based on technical description of the software. First a small piece of code is tested and then fed to the memory. All structural designs and code standards are determined and calculations for those codes are done and tested with various customers. Build Acceptance Testing is done to test the integrity of all modules of a software. Build Verification Testing is done on every build of a software to check the quality of the product. It checks whether all the functionalities are working like it supports for different versions and languages and all menus are integrated properly flags are connected with each file etc. Similarity: Both testing is tested for readiness before the detailed testing by QA team. Difference: Initial Level Testing is done in the initial stage of application development a set of all tests or procedures based on technical description of the software. Build Acceptance Testing is done to test the integrity of all modules of a software. Ans. : The software is tested for readiness before the detailed testing by QA team. It is called as initial level testing or build acceptance testing. Initial testing is done in the initial stage of application development a set of all tests or procedures based on technical description of the software. Firstly a small piece of code is tested, then fed to the memory. All structural design and code standards are properly determined and calculations for those codes are done and tested with various customers. A build is a complied code packaged in a single file called as .exe file which can be used for installation of software. It is a superficial testing to check if the pages, links, buttons etc are working. Sometimes, both the terms can be used in different scenarios though there is practically not much difference involved. Both initial level testing and build acceptance testing are used for initial stage of development of the software to test the readiness for QA. It is a superficial testing whether the software is working on pages, links, buttons etc. Initial level testing is done in the initial stage of development. It is like unit testing. Build acceptance testing is done in the integrity of all modules of the software. it also checks the quality of the product. Build verification test is a set of tests run on every new build to verify that build is testable before it is released to test team for further testing. These test cases are core functionality test cases that ensure an application is stable and can be tested thoroughly. Initial level testing is the superficial testing of the developed software to check initial steps of the software like links, pages,tabs etc. In certain conditions this type of testing is done during the initial application development stages to check certain procedures based on technical description of the software to be developed. Build Verification testing is to test the build or compiled executable of the software.This type of testing is to check the integrity of modules of the developed software.This is mostly applicable to the projects which involves many modules and the modules developed by various development teams. Initial testing is done at a initial stage of the application development.Small piece of code is tested, then fed to the memory. while build acceptance testing is done for integrity of all modules of a software. it is done to configure and run the software effectively. It is used to check whether all the functionalities are working like it supports for different versions and languages. similarity is both testings are done by developers before it is done by QA team. Before the detailed testing is done by the Qa team, the initial level testing and the built acceptance testing are done on the initial level for readiness. Is done on the initial stage of application development. This is a superficial testing to check if the links, Pages, etc are working properly. Is done to test the integrity of a module software and to ensure that the application is stable and running properly. It also checked the quality of the product. Both testing is done before the functionail testing, so they are to test the readiness. In the Initial level testing, small pieces of code are tested and then fed to the memory. Build acceptance testing it to test the integrity of all modules of a software. This testing is focused on how to configure and run the software effectively. * Initial level testing will be done during software development phase. *Build Acceptance testing is done after software development completed . *Initial level testing will not be done by QA Analyst. * In Initial level testing software will be tested as piece of code or program. *In Build Acceptance testing all software components are tested together. Both Initial level and Build Acceptance testing will be done before QA system testing phase. Initial level testing and build acceptance testing are used for initial stage of development of the software to test the readiness for QA. It is a superficial testing whether the software is working on pages, links, buttons etc. Initial level testing is done in initial development phase and it is tested in small pieces of software .It is done by developers and manufacturers during initial develpment stage and is like unit testing. Build acceptance testing is a kind of integration testing where all the develpers check in the code and a build is generated with all functions integrated and if that build verification is passed then QA will pick that build and start their detailed functionality testing. The software is tested for its readiness to go for full fledged testing in both Initial level testing and in Build acceptance testing. Initial level testing and build acceptance testing done on initial levels before thorough testing done by QA team. In initial level testing small piece code or program to be tested and fed to memory. In build accpetance testing done inerfaces between programs. All the components are tested here.
. A build is a compiled code packaged in a single file called as .exe file which can be used for installation of software. Initial Level Testing :- is done in the initial stage of application development a set of all tests based on technical description of the software. First a small piece of code is tested and then fed to the memory. All structural designs and code standards are determined and calculations for those codes are done and tested with various customers. Build verification testing is done to test the integrity of all modules of a software. Initial level testing is a set of all tests or procedures based on technical description of the software. BAT is necessary when many team in a developer team build the modules single project. In initial level testing, all structural design and code standards are properly determined and calculations for those codes are done and tested with various customers. When the project is completed build verification testing is done on every build of a software to check the quality of the product to configure and run the software effectively. Initial level testing and build acceptance testing has an advantage to detect an errors in the software early to minimize the risk for development of the software.Both testings are tested by QA analysis. In both the testings, software is tested for readiness before the detailed testing is done by the QA team. Build acceptance testing: Compiled code packaged in a single file exe. file which can be used for the installation of software. This type of testing is done to test the integrity of all modules of a software. Initial level testing: Here firstly a small piece of code is tested then fed to the memory. All structural design and code standards are properly determined and calculations for those codes are done and tested with various customers. Both the testing will be done before QA system testing phase. In initial testing a small piece of code is tested and then fed to the memory whereas in build verification testing all the modules of the software will be tested for their integrity . The QA is required to perform both tests before the system testing phase. Initial level testing-initial stages of development that tests the basic functionality aspects of the product. Build acceptance testing- To Test the integration of modules in the software. The similarities of Initial level testing and build verification testing is that they are both testing type before the QA’s. They are both still in program level. The difference though is that the initial level comes pretty early while the program is still being developed, codes are being tested while build verification testing is testing is done after the program is developed. Build verifications comes before the QA testing process to make sure all modules of functionalities are working before QA’s detailed testing. Initial level testing and build acceptance testing is done to test readiness of the software before detailed testing by QA. Initial level testing is done at initial level of development to check codes, design,calculations etc . It is test on small piece of code. Build acceptance testing is done to test integrity of modules developed. Also it is tested to check if software runs properly on different environments. 1. Initial level testing is done for each program or piece of code, like unit/component testing whereas for Build Acceptance testing, the testing is done for all the programs and its integration, like integration testing. 2. Initial level testing is done during software development and build acceptance testing is done after the software is developed and build file is created. 1. Both the types of testing are done at initial levels before the in depth testing of the software. Initial testing and Build acceptance testing both are done to test the readiness of the software before the detailed testing by QA team. Initial level testing is done at the initial stage of application development a set of all tests based on technical description of the software.Where as build acceptance testing is done when the project is completed build verification testing is done on every build of software to check the quality of the product. It is used to check whether all the functionalities are working like it supports for different versions and languages and all menus are integrated properly flags are connected with each file. Both of Initial level and Build acceptance testing is done before the detailed testing of software by the QA team. Both testings are done at a program level. The initial level of testing is done for each unit/component while Build acceptance testing is done to check the interface between two different programs which is called integration testing too. The initial level of testing is done during the development phase while Build acceptance testing is done after the software is fully developed. Both Initial level testing and Build acceptance testing is done before the detailed testing of software by the QA team. Initial level testing-It is done in initial stage of the software development, and only small piece of code is tested first and deliver it to the client . After the client’s assurance the testing moves on the next level. It tests the basic level of the product. Build acceptance testing-This type of testing is done to test the integrity of all modules of a software. Integration testing is necessary when many team in a developer team build the modules foe single project. After the project is completed build verification testing is done on every build of a software to check the quality of the product. Initial testing is done at the beginning of developing the software. Build testing is done after the project is completed to verify every build of a software to check the quality of the product. These tests are done on how to configure and run the software effectively. Similarity: Both initial level testing and build acceptance testing are done at initial level before the detailed testing by the QA team. both checks the readiness of the software to be tested before detailed testing. Initial level testing is done for each program or piece of code whereas Build Acceptance testing is done to test the integrity of all modules of a software. Initial level testing starts early whereas in Build Acceptance testing, after the project is completed testing is done on every build of a software to check the quality of the product. Build Verification test is a set of tests run on every new build to verify that build is testable before it is released to test team for further testing. It primarily checks for the project integrity and checks whether all the modules are integrated properly or not. It is a validation activity to confirm if the software is built right. Whereas, Initial testing is a set of all tests or procedures based on technical description of the software. The software is tested for readiness before the detailed testing by QA team. Initial Level Testing: Test the initial steps of each functionality. It is a superficial testing to check if the pages, links, buttons etc are working. Build Acceptance Testing: This type of testing is done to test the integrity of all modules of a software. It is used to check whether all the functionalities are working like it supports for different versions and languages and all menus are integrated properly flags are connected with each file etc. Both Initial level testing and build acceptance testing are done on initial levels before the detailed testing of software by the QA team. Initial level testing type of testing is done in the initial stage of application development a set of all tests or procedures based on technical description of the software. after the project is completed build verification testing is done on every build of a software to check the quality of the product. in both the testing All structural design and code standards are properly determined and calculations for those codes are done and tested with various customers.These tests are done on how to configure and run the software effectively. It is used to check whether all the functionalities are working like it supports for different versions and languages and all menus are integrated properly flags are connected with each file etc. Initial level testing is done in the initial stage of application development. Firstly a small piece of code is tested, then fed to the memory. Integration testing is done to test the integrity of all modules of a software. Both testing are performed on the software is tested for readiness before the detailed testing by QA team. Initial level testing and build acceptance testing are both done to verify the software is stable enough to start more detailed testing. Initial level testing is mostly based on technical sepcs, calculation, etc. Build acceptance test is done to see if all modules still work together. 1.Try to identify the differences and similarities between initial level testing & build acceptance testing. This type of testing is done in the initial stage of application development a set of all tests or procedures based on technical description of the software. All structural design and code standards are properly determined and calculations for those codes are done and tested with various customers. This type of testing is done to test the integrity of all modules of a software. After the project is completed build verification testing is done on every build of a software to check the quality of the product. These tests are done on how to configure and run the software effectively. Try to identify the differences and similarities between initial level testing & build acceptance testing. Initial level testing is done at the beginner level where small piece of code is tested then fed to the memory. All structural design and code standards are properly determined and calculations for those codes are done and tested with various customers. In build acceptance testing , the integrity of all modules of software is tested. After the project is completed build verification testing is done on every build of a software to check the quality of the product. The similarities of Initial level testing and Build acceptance testing are both are tested before the detailed testing by QA team in initial stage. The difference is Initial level testing is done for application development a set of all test based on technical descriptions of software while build acceptance is done to test integrity of all modules of a software. – In the intial level of testing, a small piece of code is tested and fed to the memory. Structural design and calculations for the code are tested with various custmors for their approval. -Developers build modules for the project. Each module is verified for its quality. These are done to ensure the quality anf effectivness of the product. All funtionalities are checked for its proper working and software should be supporting all different versions, languages and menus are integrated properly. Both the initial level testing and build acceptance testing are done to test the system readiness before the QA does the detailed testing. In initial level testing, the software is tested in the initial stages. Firstly a small piece of code is tested then fed to the memory. For example, a manufacturer is solely responsible for the design of the product and the manufacture of the product. After testing is done Without his assurance the product won’t move to the next level. In build acceptance testing, the integrity of the modules is tested. This tests are done on how to configure and run the software effectively. 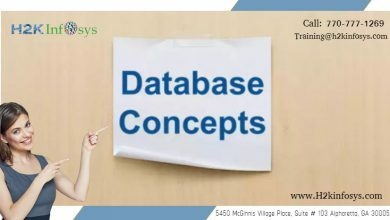 For example, database installation setups, server installation setups, cut copy functions etc. Build Verification Test (BVT): This is conducted in projects where daily or periodic builds are released. It is a short test that takes minutes, and verifies that major components are in place and accessible. This is also integration testing to make sure all modules are present and working. This determines whether software is testable further. This test is usually automated. Initial Testing: This is done in the initial levels of development and is used to test one particular functionality rather than the whole application. This ensures that the module under test is performing as per specifications. All structural design and code standards are properly determined and calculations for those codes are done and tested with various customers. For example, sometimes the manufacturer is responsible for the design and manufacture of the product. Without his assurance after testing the product is not moved to the next level. So he is the one who tests with the basic level or the manufacturing aspects of the product. Some times this product takes time for giving results. These tests are done on how to configure and run the software effectively. It is used to check whether all the functionalities are working like it supports for different versions and languages and all menus are integrated properly flags are connected with each file etc. For Example creation of VM’s and server installation setups, database installation setups, test cases are built for creating text editor, writing something on text editor, cut copy functions etc. Similarities: Both Initial level testing and build acceptance testing are done on initial levels before functional testing is done by QA team. Differences: In Initial level testing all structural design and code standards are properly determined and calculations for those codes are tested. In build acceptance testing, every build of the software is tested to check the quality of the product. These tests are done on how to configure and run the software effectively. Differences and similarities between initial level testing & build acceptance testing. Initial level testing is done at the initial stage of software development whereas build acceptance testing is done after the completion of project to check quality of product. Both are tested before the detailed testing by QA team. Initial Testing – is done in the initial stage of application development based on the technical description of the software and validate that a build can be considered for further detections and this test detects the problem early. Build Acceptance Testing – These are superset to the initial testing and done to test the integrity of all modules of the software and whether all the functionalities are working as it should. Both initial level testing and build acceptance testing are done on initial levels before testing is performed by QA. Initial level testing ,a small piece of code is tested. Build acceptance testing , testing is done to test the integrity of all modules.